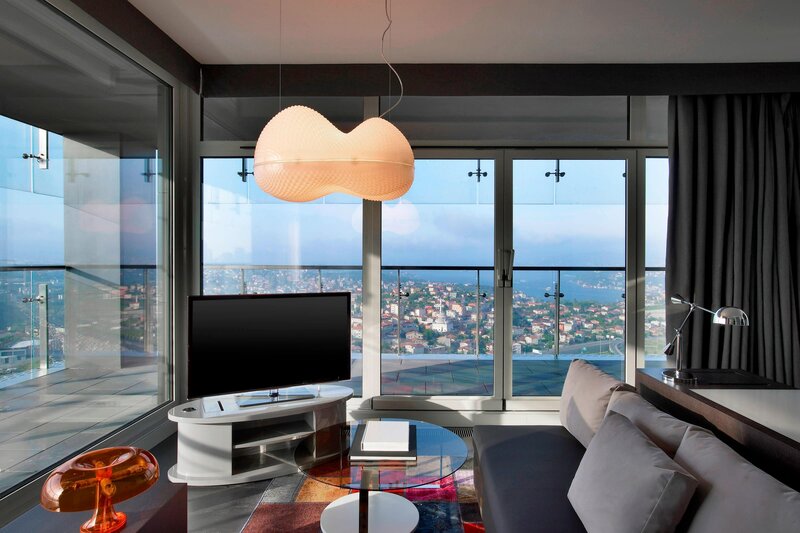 Le Méridien Istanbul Etiler offers a truly unique living experience in every one of its stylish guest rooms and suites. 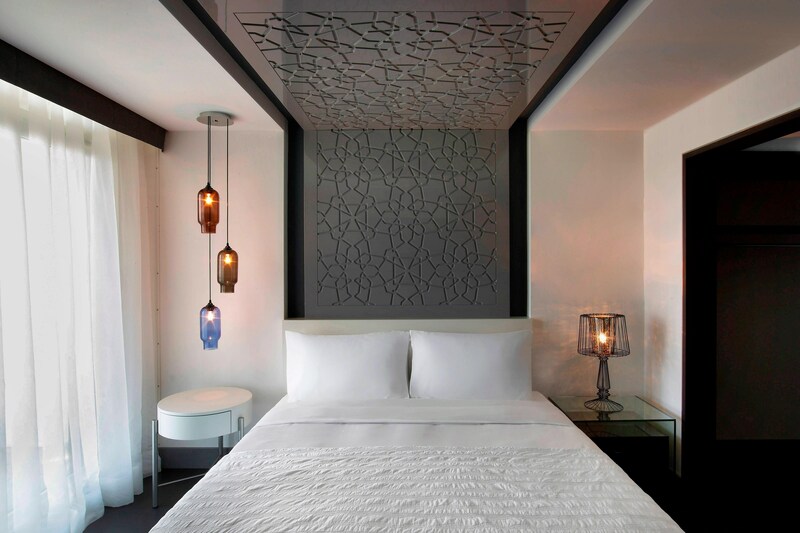 A refined colour palette is infused with natural wood elements, classic Turkish motifs, and bold modern artwork and furnishings create an inviting harmony of old and new that resonates perfectly with the cultural dynamic of the city. On at least one window of each guest room or suite, you will find a line of poetry engraved into the glass that salutes the city of Istanbul. The words are by diverse local and international poets, as well as Mustafa Kemal Ataturk, the renowned founder of the Turkish Republic. In addition to the striking living and spacious work areas, every room and suite enjoys a sumptuous marble bathroom complete with plush bathrobes and luxurious spa products. Further amenities include sumptuous in-room dining menu, a laptop-size safe, wired and wireless High-Speed Internet Access and state-of-the-art LCD televisions. We stock our rooms with complementary water for your enjoyment. 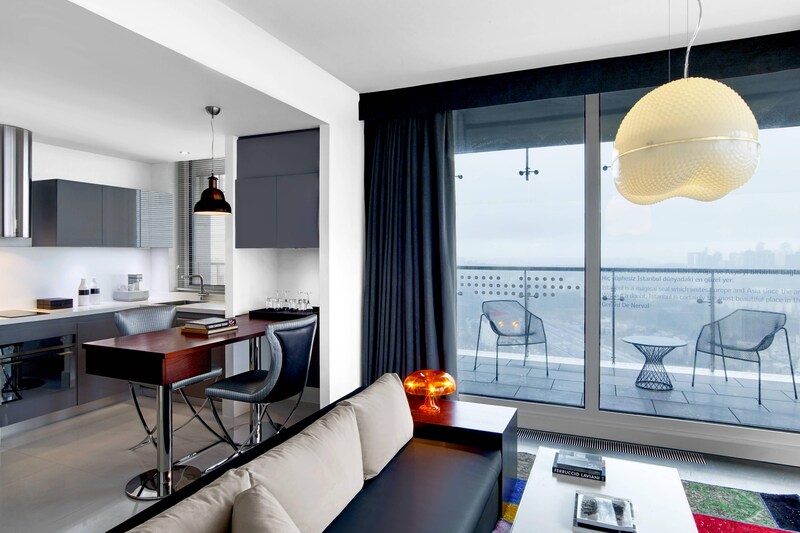 Discover our spectacular Residential Suites on hotel top floors adding comfort, luxury and exclusivity to your stay. Amazing view with modern design. Access to the Club Lounge is included for all guests staying in suites or Executive Rooms at the hotel.